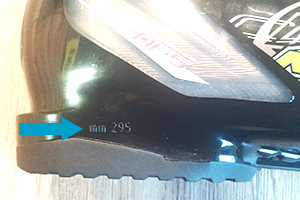 Your Boot Sole Length is a measurement, in millimeters (mm) stamped into the plastic heel of your boot. It is not your boot size! 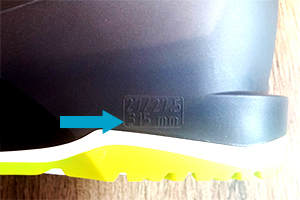 All boot sole lengths are 3 digit whole numbers - there will not be any hyphens or decimals. In Store Pickup Customers: Bindings can be mounted then fully safety tested at our Golden, CO shop if you bring your boots with you when you pickup your skis. Ship To Customers: Utilizing our mount service adds one day of handling for us to complete this service. Please add this onto our estimated shipping time. Bindings must be professionally adjusted at a local shop according to your height, weight, and ability level with your boots present.